One of the e-bikes Philadelphia’s Indego bike share program is trying out as part of a pilot (from rideindego.com). 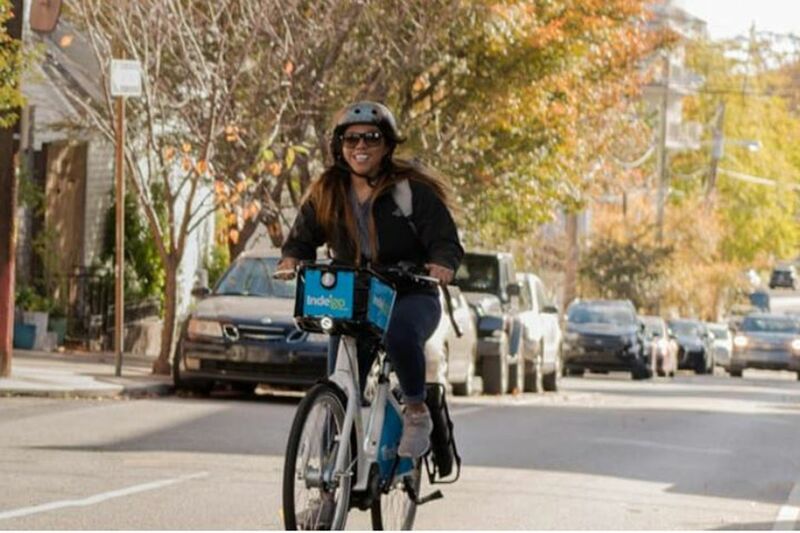 Officials from Philadelphia's Indego bike-share program announced on Thursday a plan to supply 10 electric pedal-assist bikes, or e-bikes, to see how they are received by the public. The pilot program will last for two months. If the pilot is successful, the city might roll out up to 100 e-bikes. "Indego is a part of the city's CONNECT vision for transportation, and we think that electric-assist bicycles are a great way to make bike riding more accessible for more Philadelphians," Michael Carroll of the Office of Transportation, Infrastructure, and Sustainability said in a statement. "E-bikes allow people to get where they're going with a little more comfort, a little more speed, and have proven to get more people cycling." Indego, sponsored by Independence Blue Cross, is operated by the city. The e-bikes have electric motors that assist riders as they pedal. Officials said the motors make the bikes better for hills, quickening commutes, or simply covering more of the city. Philadelphia’s Indego bike-share program introduced 10 electric-assist bikes as part of a pilot program. The e-bikes were demonstrated Thursday outside the Municipal Services Building. People then rode them to Indego stations in North, South, and West Philadelphia. "I'm proud to be riding one of these bikes back to the Mantua community," Lorraine Gomez of the Mantua Haverford Community Center said shortly before departing. "I'm riding again after decades off the bike, and the Indego electric bike makes it a breeze." Philly launched the Indego program in 2015 to help cut down on traffic as part of its public-transportation system. It was expanded this year to 130 stations and 1,400 bikes, accessible 24 hours a day. The e-bikes help riders pedal up to 17 mph — the electric assist works only while the rider is pedaling. The bicycles have batteries, but the city has not installed chargers and likely will not unless the pilot is successful. For now, the bikes will be charged by Indego staff. There will be no additional cost to ride the e-bikes during the pilot period as Indego monitors ridership and trip data. The white e-bikes are distinctive from the regular blue Indego bikes. Indego charges $10 for a daily pass, $17 for a one-month pass, and $13 a month for a year.